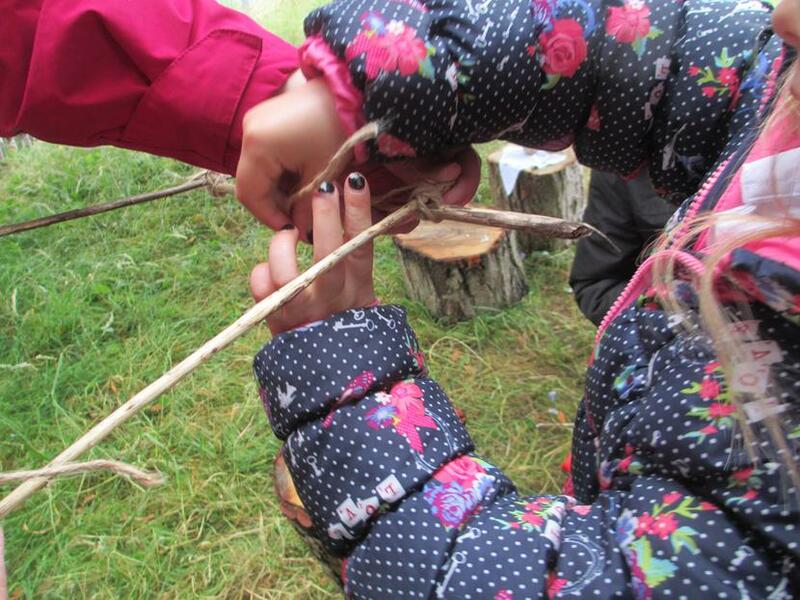 Forest school is an active way of learning through hands on experiences in an outdoor natural environment. 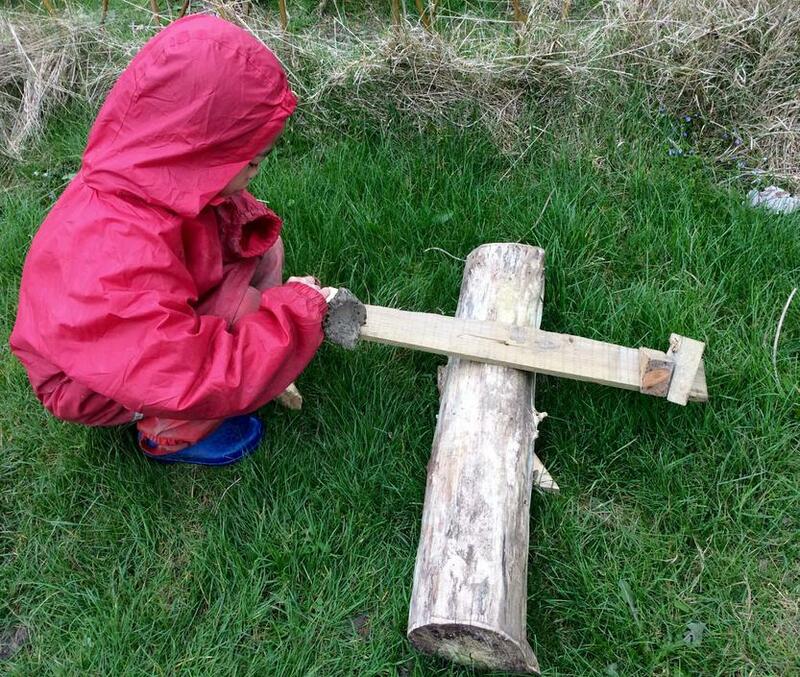 It is a child led process which encourages learners to use their imagination and creativity. 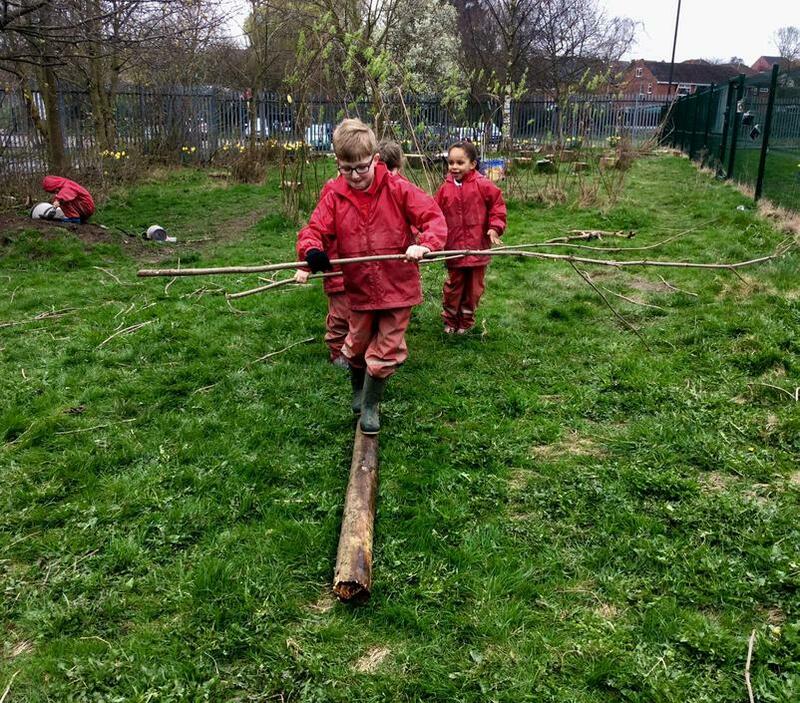 Forest School is a supportive and encouraging environment in a natural woodland setting where children are able to explore freely. 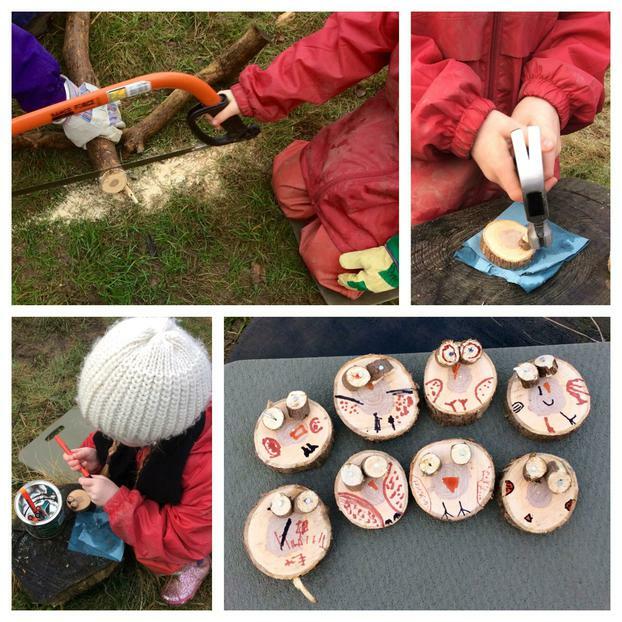 We recognise and value the individual child’s set of skills and interests and through a wide variety of fun experiences, which encourage resilience and perseverance, children gain a feeling of achievement, pride and confidence in themselves. 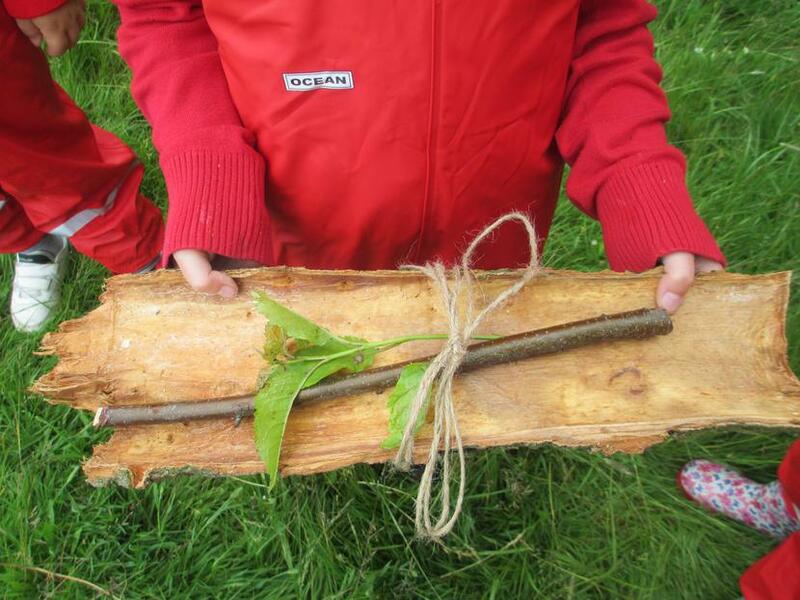 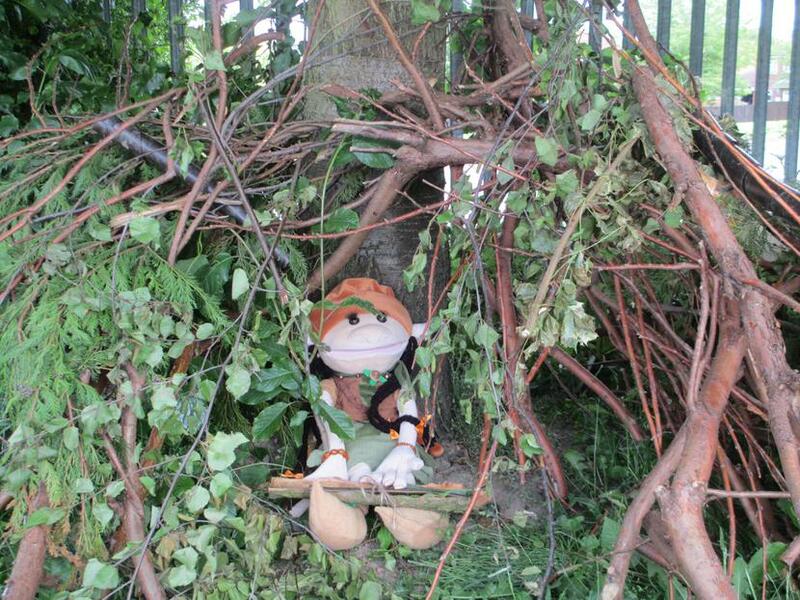 At Forest School we also believe in showing children the importance of our natural spaces. 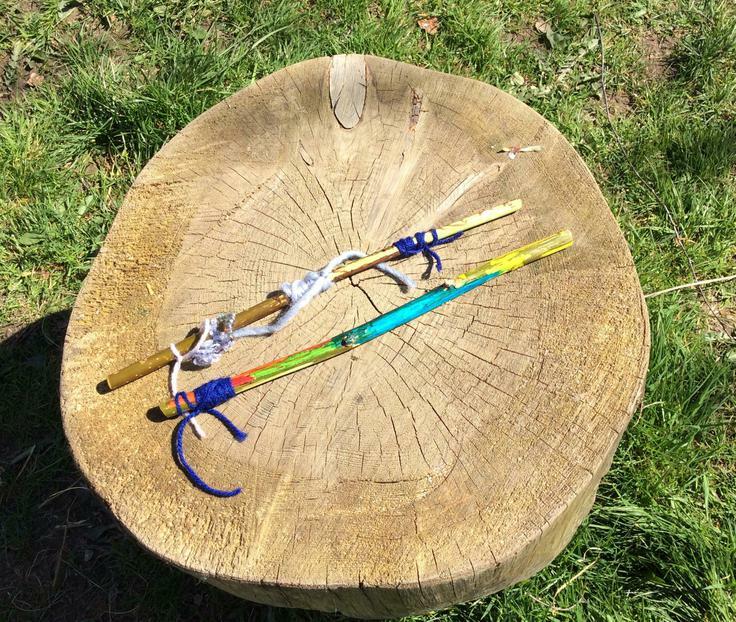 We aim to inspire respect and love for the natural environment which will foster in them a desire to enjoy it, maintain and preserve it, both now and in the future. 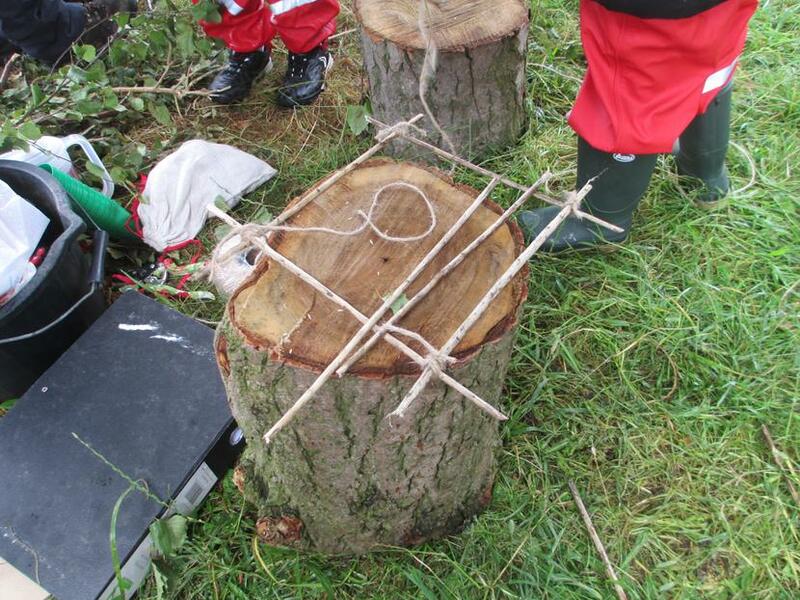 A great deal of research has found that Forest School improves self esteem, confidence and resilience in its learners. 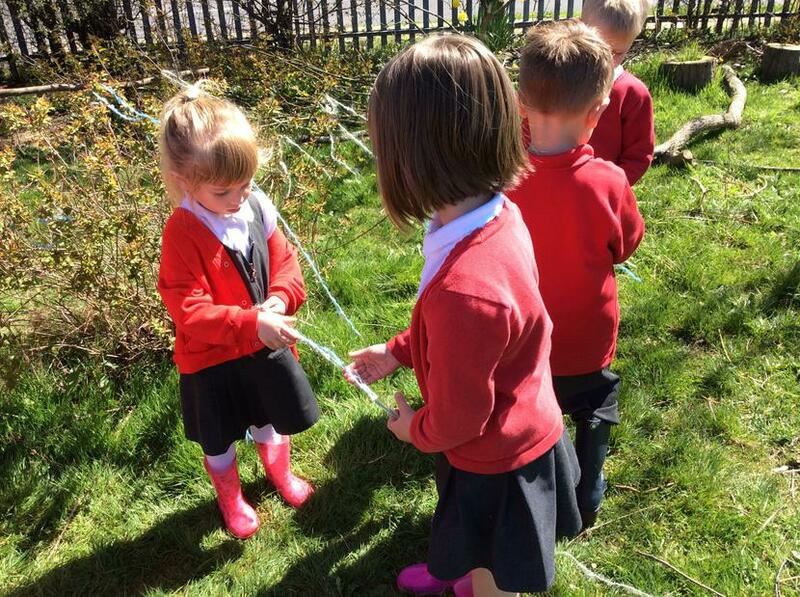 It improves our sense of self, and how our behaviour impacts on others and our environment. 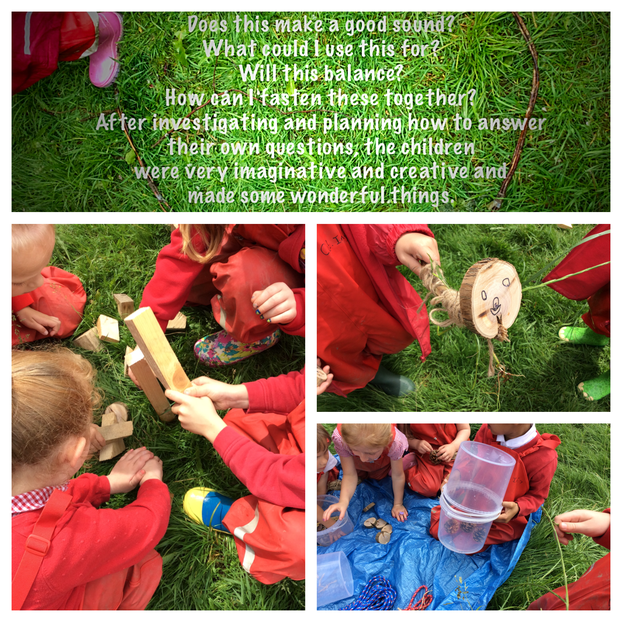 It also develops problem solving and decision making skills and has a variety of physical benefits. 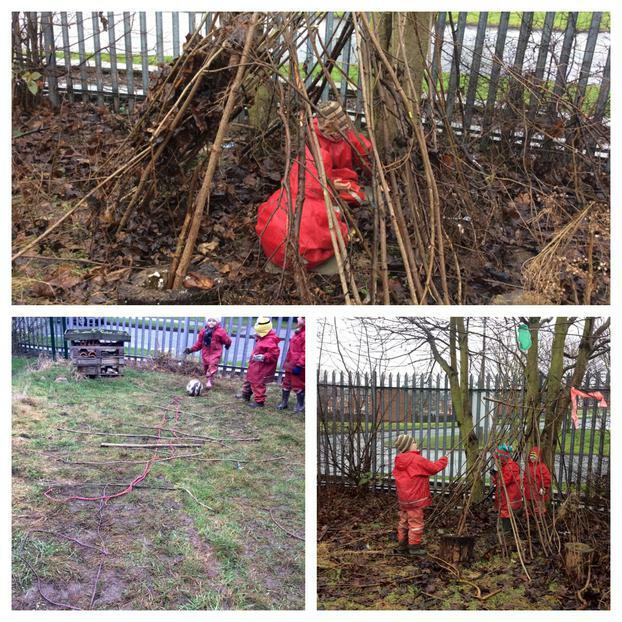 At Forest School we believe that there is no such thing as bad weather, just bad clothing and we do go out to our sessions in all weathers. 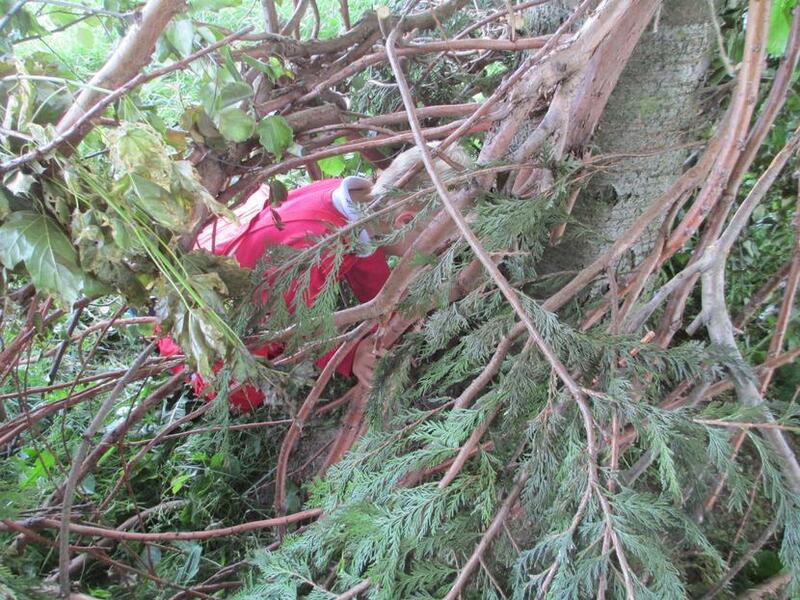 So if your child is attending Forest School, please send them with a change of clothes. 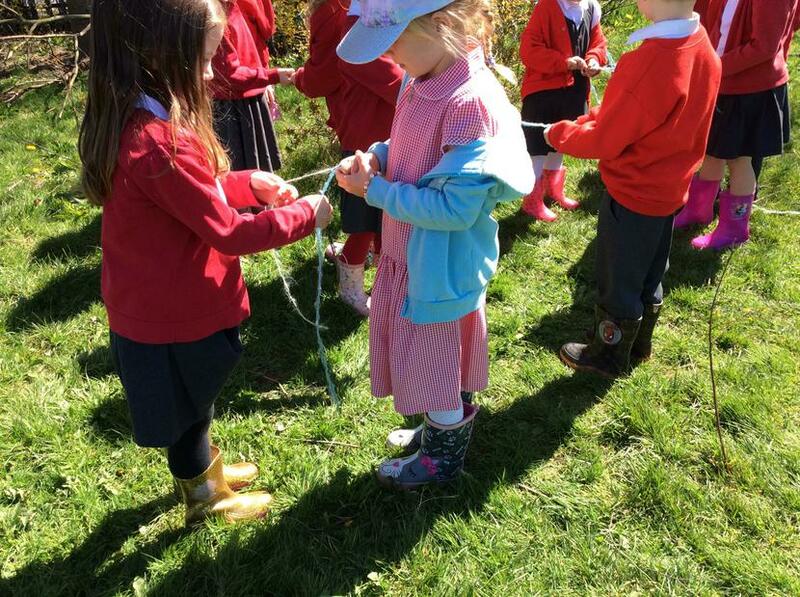 We may get very dirty, so old clothes are better. 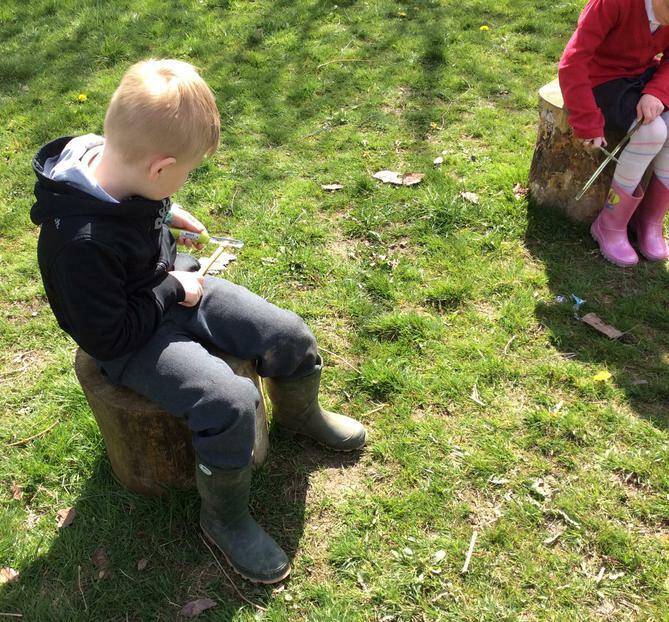 Sensible footwear – boots or wellies. 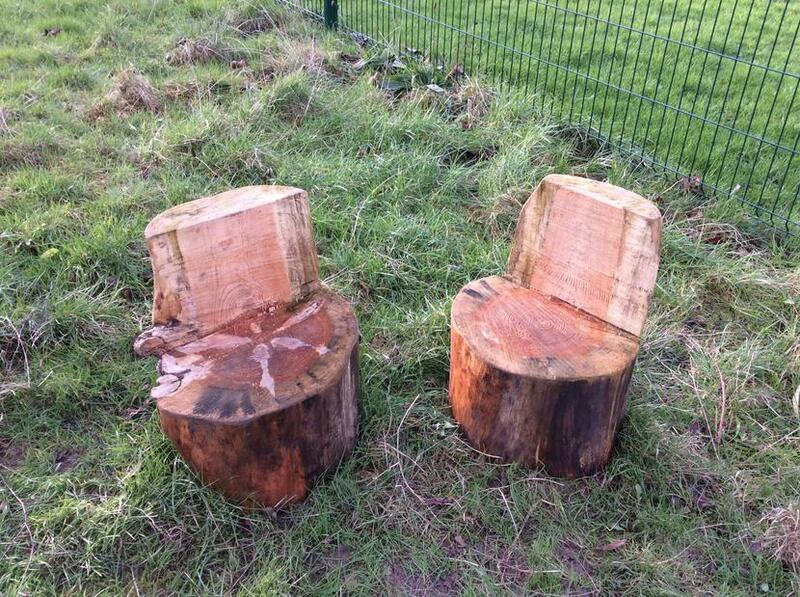 Pair of thick warm socks. 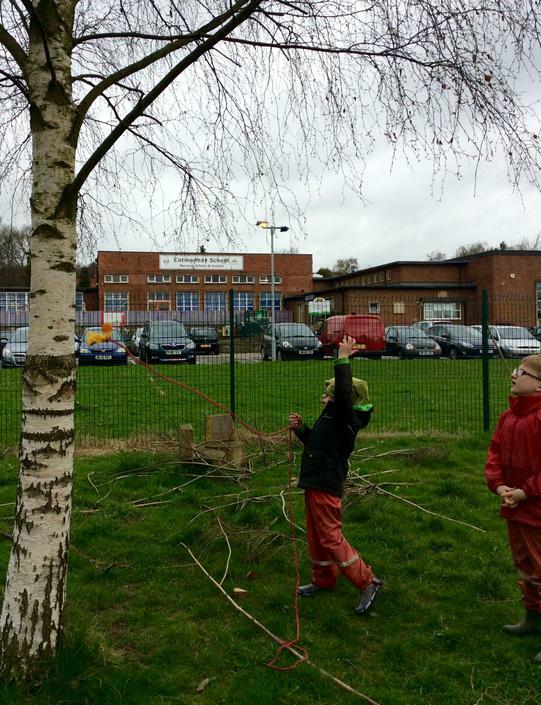 Warm clothing – several light layers are better. 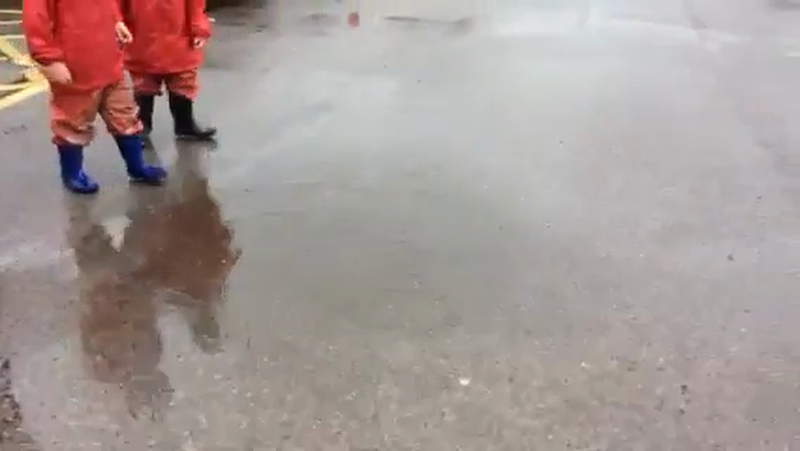 A warm coat, waterproof is preferable. 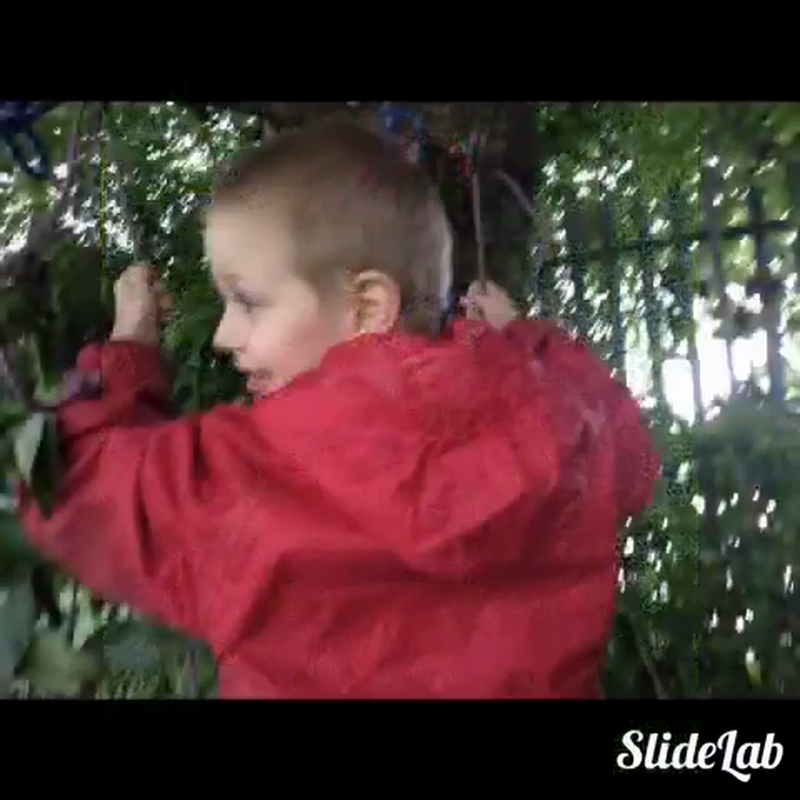 School provides a pair of waterproof dungarees as an outer layer. 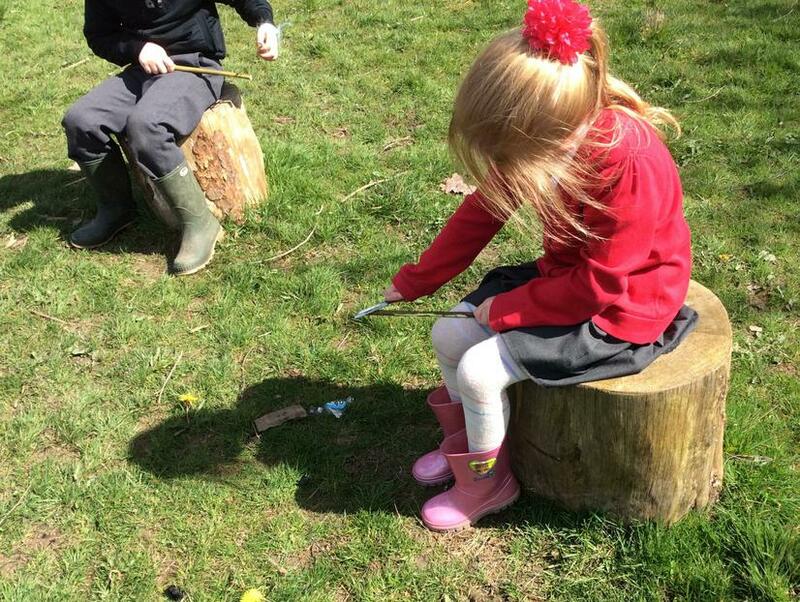 Sensible footwear – boots, wellies, or sturdy trainers. 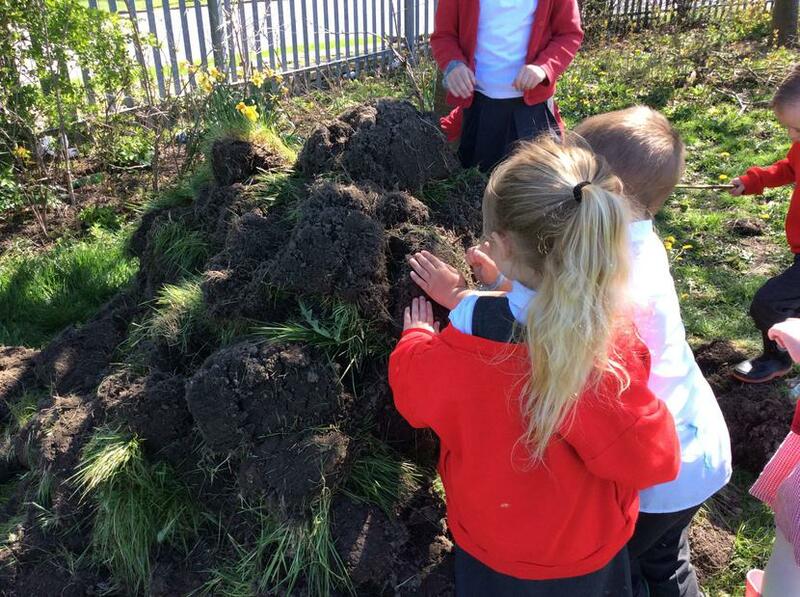 A warm layer – just in case! 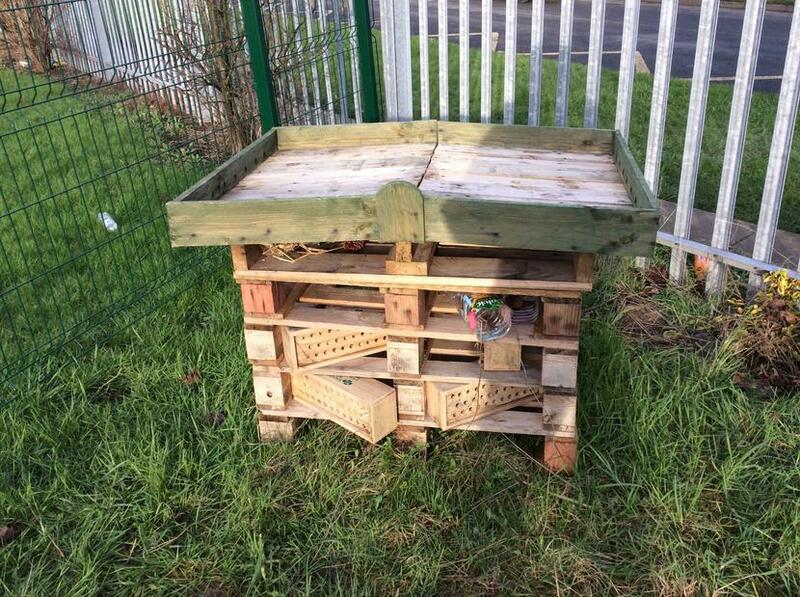 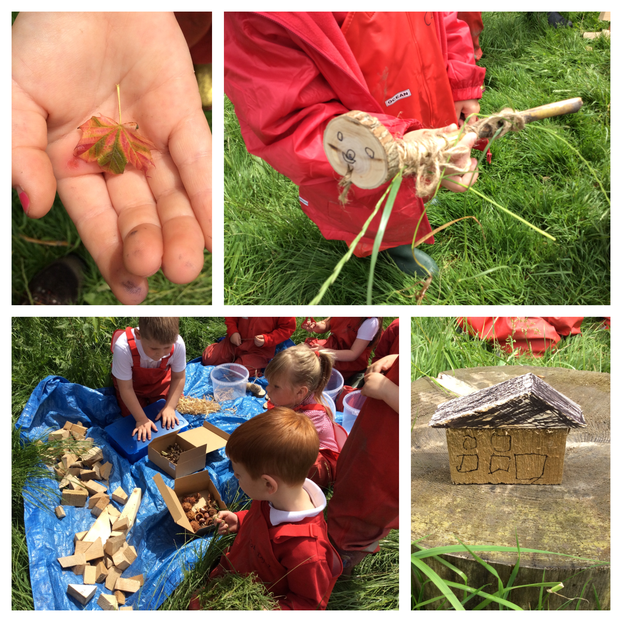 How do we stay safe at Forest School? 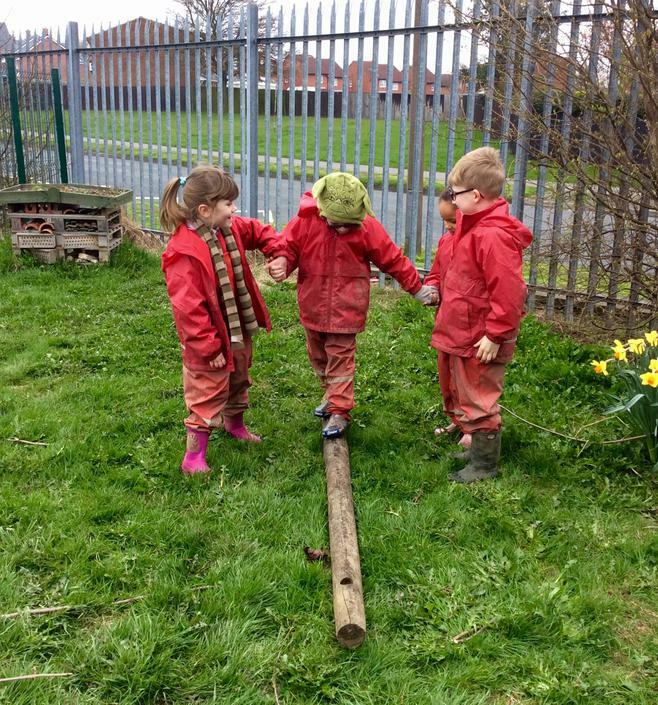 risk as a child we are able to develop the skills needed to make safe decisions and an awareness of our own capabilities. 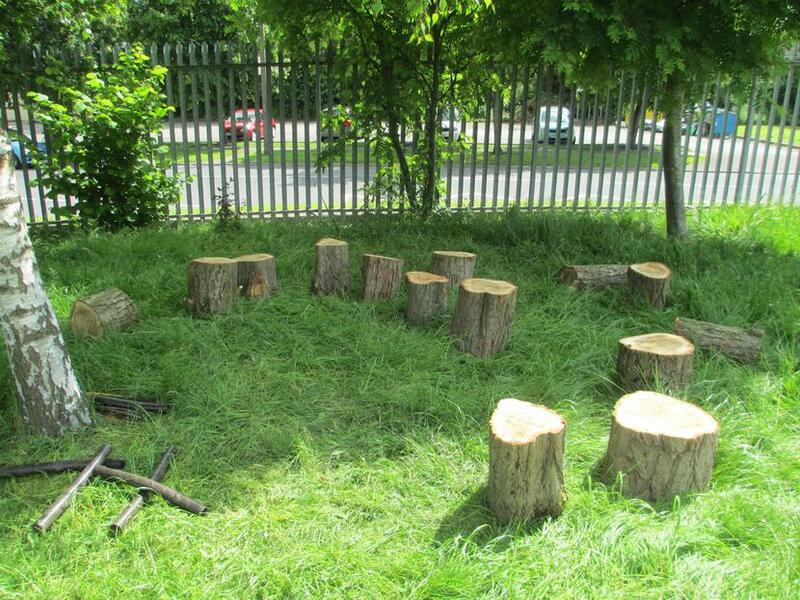 www.forestschoolassociation.org or pop into school and speak with our qualified forest school practitioner Ms Mcnabb. 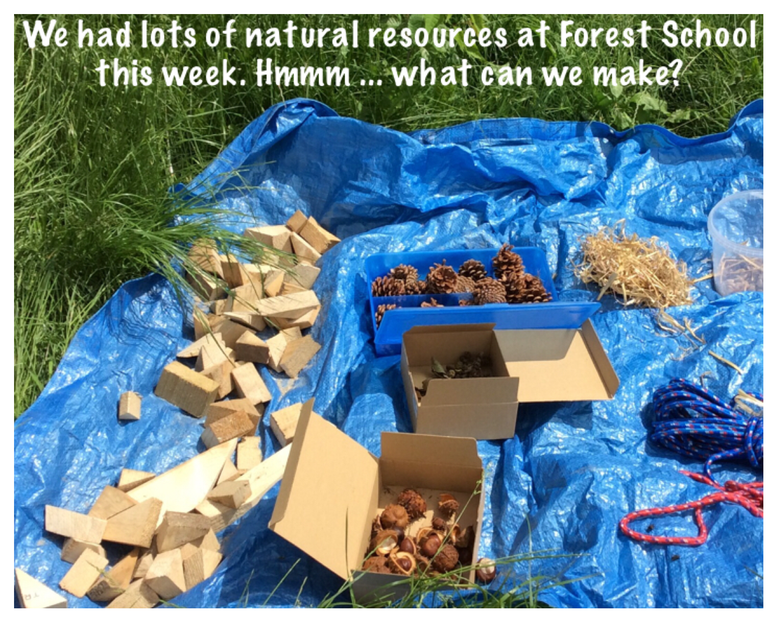 This week at Forest schools.. 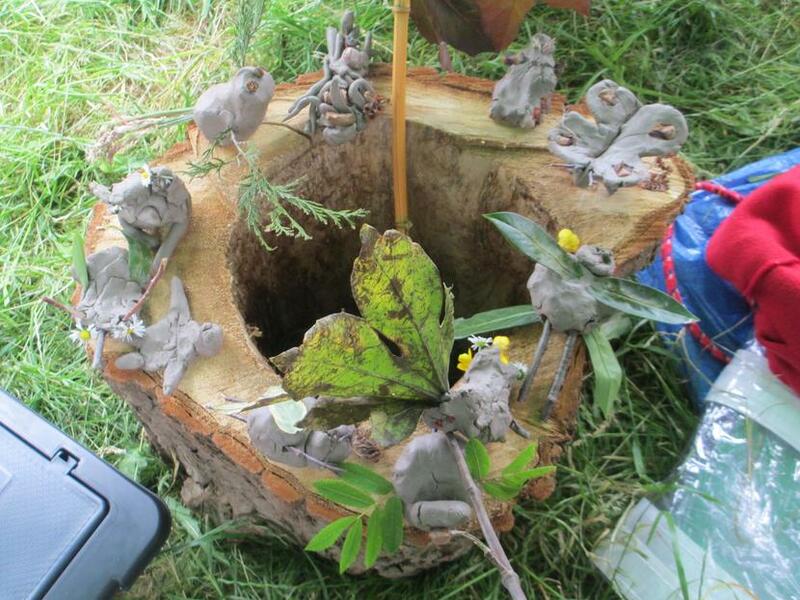 Perfect weather for a mud cafe at forest school this week. 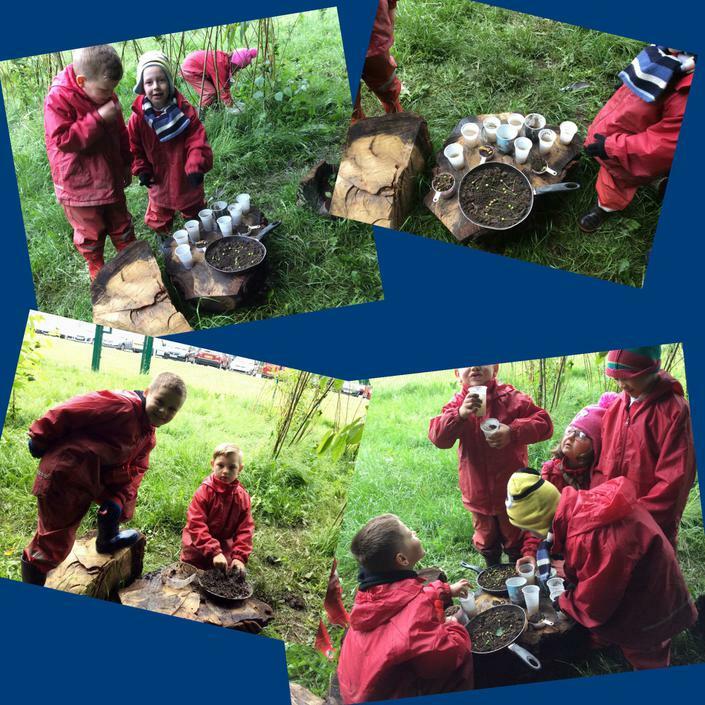 Mud stew was the main dish on the menu! 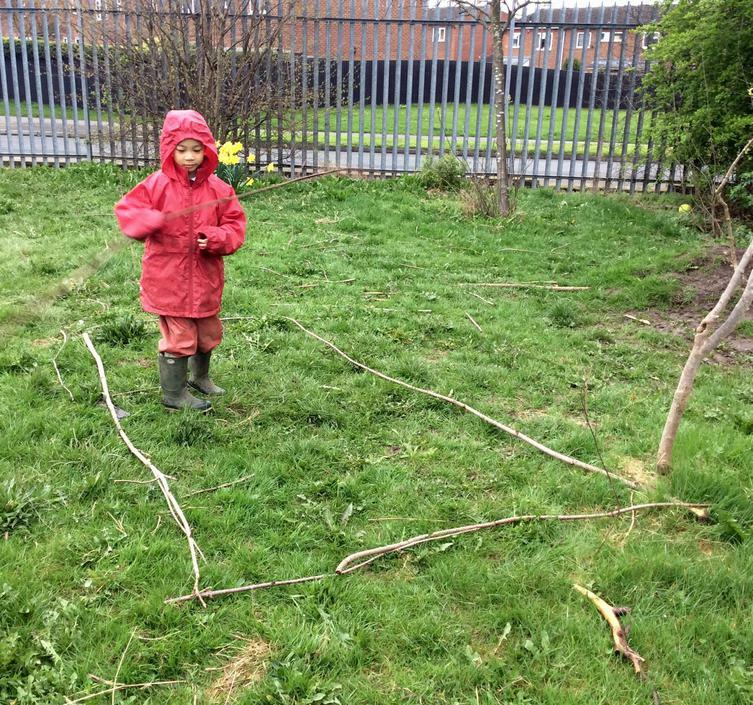 A big congratulations to Harrison for learning how to put up a shelter by himself. 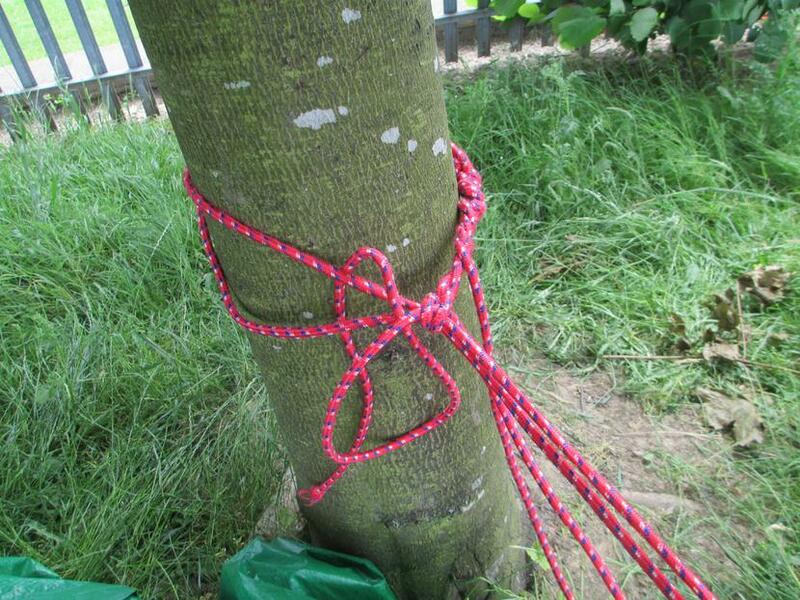 He had to learn how to tie a timber hitch, an overhand loop, a tensioning knot and a quick release knot just to put the rope up and he did this with only the tiniest bit of help. 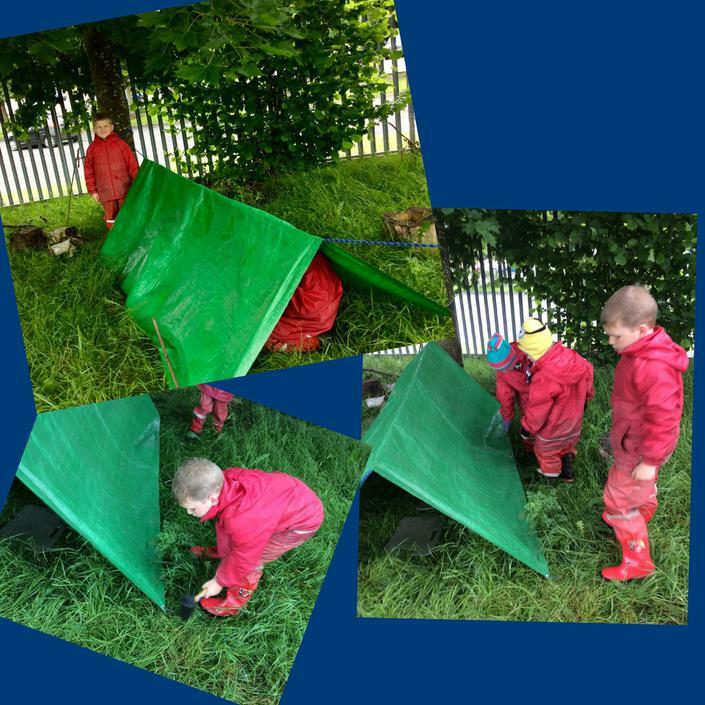 Then with a bit of teamwork from his friends to get the tarpaulin pegged down they were soon hiding in their new shelter. 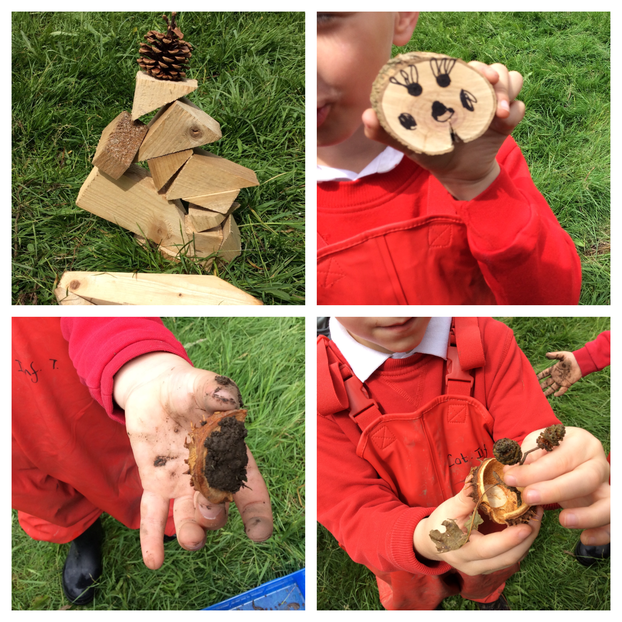 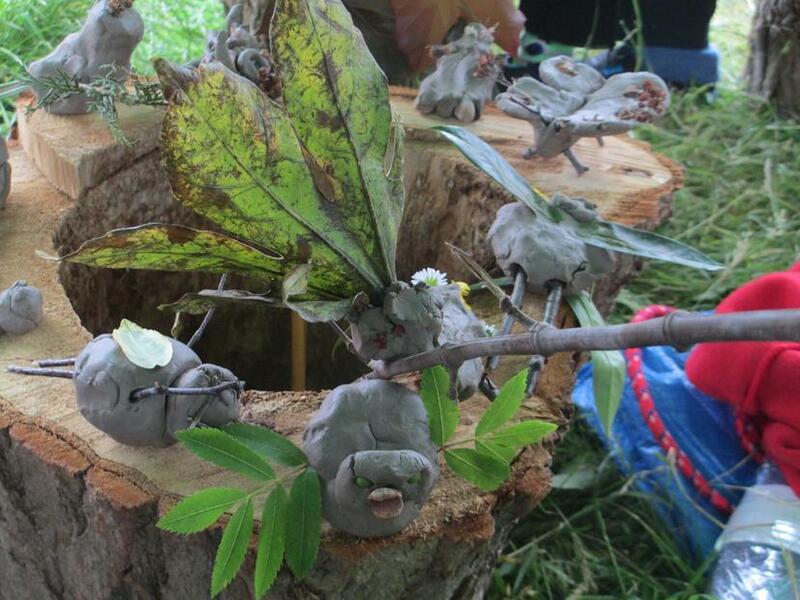 Well done forest schoolers!